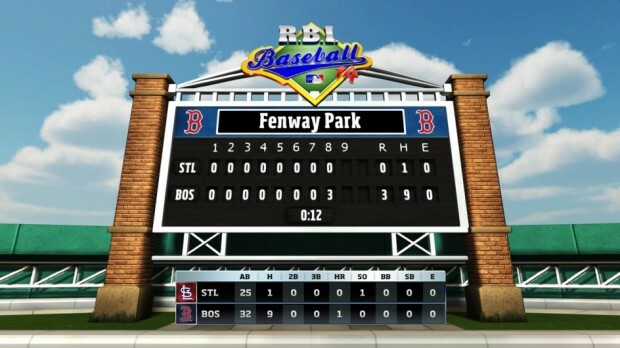 It’s an arcade-style baseball game — This game fills a need for Xbox gamers who are also baseball enthusiasts. 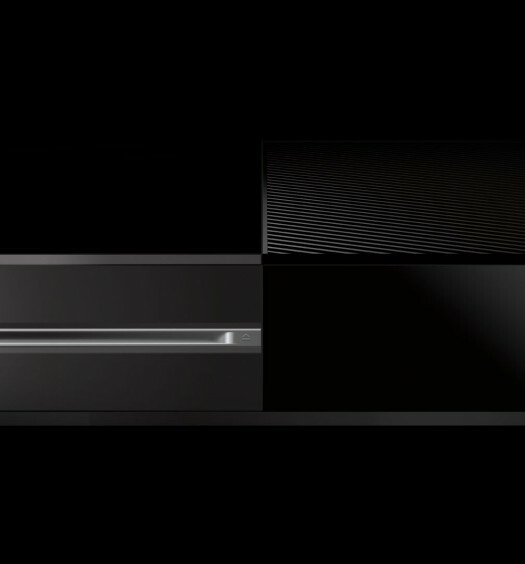 With MLB 2K13 being the end of 2K Sports’ baseball series, those outside of Sony’s consoles were left with nothing to fill the gap. R.B.I. Baseball 14 tries to scratch that itch. Bland presentation and visuals — Graphically, R.B.I. 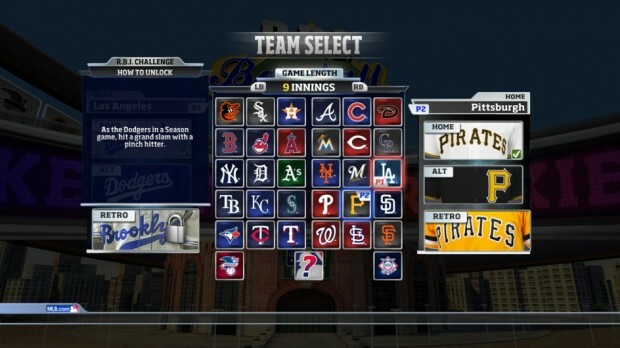 Baseball 14 appears to be in line with releases from the original Xbox or GameCube. That shortcoming could be forgiven if the art style were more interesting; alas, the player models lack any major distinction between one another except thin versus muscular, and textures all around are bland. Even the stadiums lack distinction. There exists no pomp before games, no player introductions, nor commentary of any kind. The player is simply dropped into the game, and at the end the score is displayed. Even the crowd seems less than enthusiastic to be there. Lack of options — As far as gameplay modes, exhibition or season are the only options. This shortcoming of choice is also seen in the game itself. While each Major League Baseball club is represented, only the main lineup and four bench players and four “relief” pitchers are made available for each team. The word “relief” is used lightly because three of the four are starting pitchers the player will use during the course of a season. It makes no sense for starting pitchers who are supposed to rest between games to be coming out of the bullpen. There is no indication if using a pitcher in consecutive games has any fatigue factor in the long run. Incomplete instructions — The rudimentary control overview given does not cover some important details, like selecting a fastball or a breaking ball; the only control given for this is “A.” Only trial and error reveals that different pitches can be thrown using one of the control sticks. In addition, a game can end by a mercy rule if a team is more than 10 runs ahead. This is not a traditional baseball rule, and nowhere in the game is this mentioned; one must simply have it happen. There may even be more unexplained controls or rules that this reviewer has not discovered that fans of the classic series know outright. A game should not be designed to punish new users; there must be a balance of rewarding long-time fans while embracing newcomers. Lack of “fun” factor — To put it bluntly, there is nothing fun about this game. Pitching feels like the A.I. cheats and will rubber band its way back into a game with clutch hits, while batting is equally frustrating. It is unclear why certain batted balls are hits, while others are easy outs. Is it just the timing? Is it favorable to move the batter around in the box as the pitch is thrown or does this have some adverse effect? Can the ball be aimed to a specific field? None of this is explained and can only be speculated on by the player. Finally, fielding is an outright disaster. Catch animations are clunky and trying to snag a fly ball is beyond frustrating. There is no indicator where a ball is going to land. The current location of the ball is shown as a circle that shrinks as the height decreases, but where it will land is never specified. By the time this is figured out, the ball will have already dropped for a hit. A toggle for assisted fielding can be turned on, which basically does all defensive player movement automatically. All the gamer must do is throw the ball. Enabling this setting seems like a necessity to get even a shred of fun out of this portion of the game. It is truly telling that disabling aspects of a game is easier and more fun than trying to work with the mechanics given. 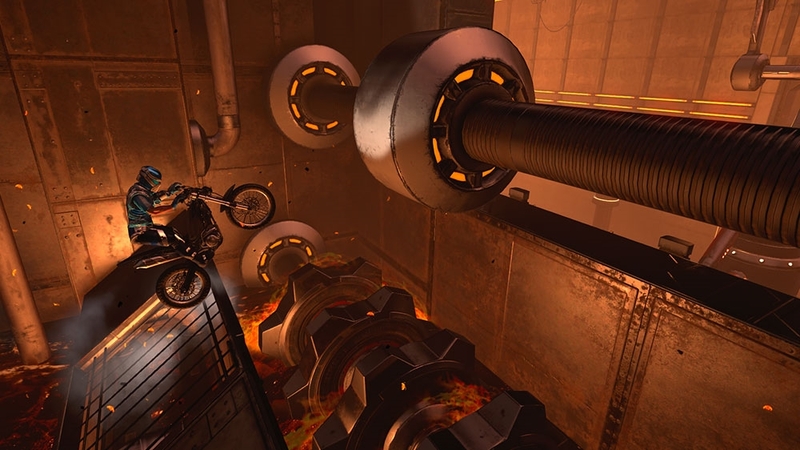 No online play — The game only offers local co-operative play. Not everybody has friends or family available to play with them in the same room, so R.B.I. Baseball ’14 lacking any sort of online play is definitely a drawback. Local play is a nice feature to have, but it should not be the exclusive option. Only playing against A.I. that feels like it is always cheating leads to head scratching and frustration. No difficulty sliders make this even more of an issue. R.B.I. 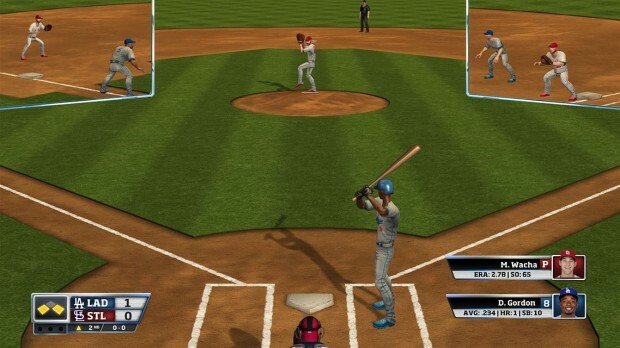 Baseball 14 is not the game baseball fans are looking for. 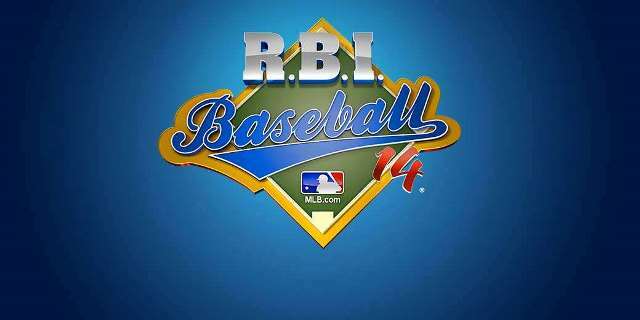 The poor visuals, frustrating controls and lack of any enjoyable aspects mean this game is only for players who have an unquenchable desire to play anything baseball-related or have some nostalgia for the franchise. The game is not friendly to new players, simulation fans or those who want to have fun. Unfortunately, it’s just a big swing and a miss.